In case of a tie, the basis will be the number of days of the song on the chart. The cut-off period is from the first charting day of January 2015 until December 25, 2015. Watch the music videos of our TOP 20 Best of 2015 songs below! 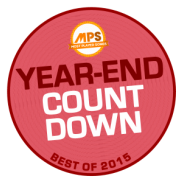 See what fans has to say about the MPS Year-End Countdown Best of 2015 results! 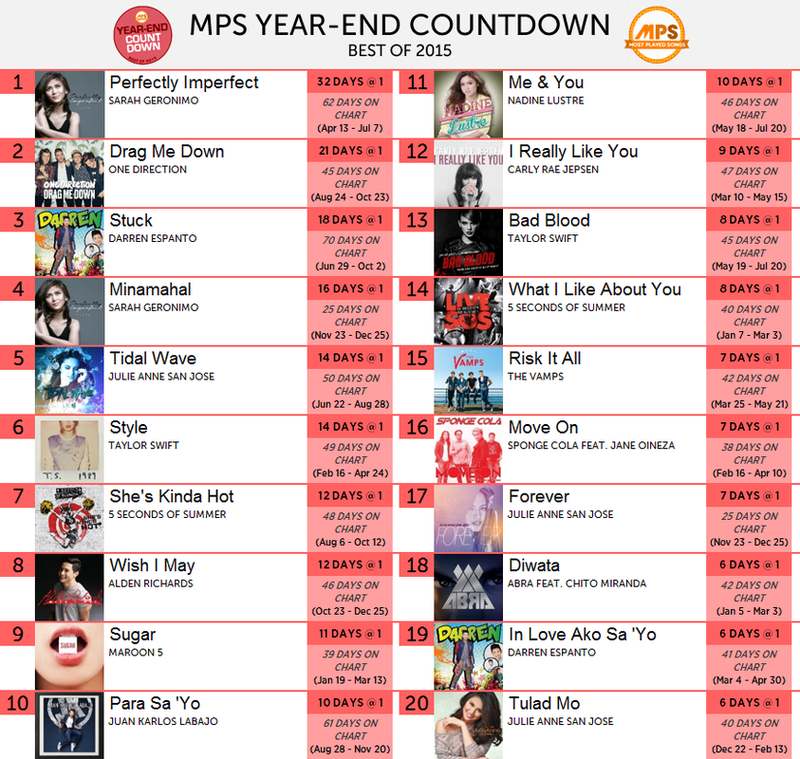 Congratulations again to Sarah Geronimo for bragging the MPS Year-End Countdown Best of 2015 best song for "PERFECTLY IMPERFECT". Spending 62 days on the chart and 32 days on the No. 1 spot! Aside from that, she also has another song which is "MINAMAHAL" at 4th spot and also the Top 1 song on MPS People's Choice Year-End 2015. She was also crowned the best song for "PERFECTLY IMPERFECT" on OPM Top 10 MPS Year-End 2015, Weekly Top 20 MPS Year-End 2015! ​Meanwhile, Julie Anne San Jose has the most number of entries including "TULAD MO" at #20, "FOREVER" at #17 and "TIDAL WAVE" at #5. Again, congratulations to all who made it at the MPS Year-End Countdown Best of 2015! Thank you for making 2015 a very good year in the music scene!